The killing of a 10-year-old boy in south London shocked the UK but why, asks Tom de Castella, does Damilola's death remain such a painful memory a decade later? The CCTV footage captured a boy on his way home from the library. As the Independent's Paul Vallely wrote in 2006: "It showed a happy smiling schoolboy hopping and skipping, with the insuppressible exuberance of childhood, across the flagstones of a shopping precinct. It was Peckham but it could have been anywhere in Britain." For the viewer, there was the awful knowledge that 15 minutes later Damilola Taylor would be bleeding to death in a concrete stairwell. In the summer of 2000, Damilola's family had moved from Nigeria to London in search of a better life. On 27 November he was stabbed in the leg with broken glass by two brothers, Danny and Ricky Preddie, who were persistent young offenders. So why did Damilola's death make such waves? His short life is the obvious answer. For while the Metropolitan Police keeps figures on teen homicides - between 15 and 20 teenagers are killed each year in London - no such statistics are readily available for children, so rare are such killings. Emanuel Candengue 22, lives in Peckham today but grew up in Angola. He remembers his family discussing the story. The killing of an African boy shortly after starting a new life in Britain was big news even in Angola. "I saw it on TV. My uncle used to come to Britain on holiday so looked out for the news here." Mr Candengue now helps out as a peer mentor on the streets of Southwark hoping to prevent such incidents happening again. How could we as a society have let a child like that be picked on and killed by these kids, when everyone knew they were bad kids? It was huge news because of his age and who he wanted to be, says Mr Candengue. "He wanted to be a doctor. He was only here for a few months but all his dreams were destroyed at such a young age. It was devastating. And at that stage young people weren't really dying." Another factor was the time it took - six years and three trials - to identify and convict his killers. Nick Ephgrave, now chief superintendent of Lambeth Police, was the detective who caught the Preddies and describes their conviction for manslaughter as one of the highlights of his 30-year policing career. Damilola's age was important, he says, but there was something about the boy's character and appearance that appealed to people, summed up by his police mugshot. "That photo there was the second thing," Ch Supt Ephgrave says pointing to a grinning picture of Damilola, stuck to the wall of his office at Brixton Police Station. "He's an engaging person, wearing school uniform. He's smiling, has got an air of confidence about him and he looks positive about the future." He died in a grim place, a concrete stairwell on a condemned housing estate a few hundred yards from the safety of home. And for Ch Supt Ephgrave, the crime came to symbolise a breakdown in society's values. "It was kids that were accused of doing it. Those who killed him were well known to the police and were out of control. That all added to the sense of outrage - how could we as a society have let a child like that be picked on and killed by these kids, when everyone knew they were bad kids?" Unlike many other young people killed in the inner cities, there was no hint of criminality or gang involvement in Damilola's case. Indeed the story was like a macabre fairy tale about innocence coming face to face with evil. "Looking at his picture it's like Little Red Riding Hood. You've got this innocent in the woods trying to get home and this predatory pack of wolves slowly converging on him. They surround him and stab him and leave him to die in the stairwell and disappear." Finally, there was the dignity of his family. Despite the first two unsuccessful trials Richard and Gloria Taylor never gave up on the police or the British justice system, he says. Last weekend, the Independent on Sunday printed photographs of 138 victims of teen on teen violence in London since the death of Damilola. The vast majority are black or mixed race and have been quickly forgotten. Three who got more coverage were Ben Kinsella and Rob Knox, who were respectively linked to EastEnders and the Harry Potter movie, and Jimmy Mizen. All three were white. So is there a racial element to how cases are reported? Dr Myria Georgiou, a media lecturer at the London School of Economics, says the coverage created a lot of sympathy for Damilola and his family: "It showed the possibility for the media to create a sense of empathy for people who come from different places and ethnic groups. Audiences do become more aware and sensitive." But she believes there is a hierarchy of what the media thinks deserves public attention. "It's about what they feel is closer to home and to the audience's sensitivities. With child abduction and abuse there's a tendency for the media to pay much more attention. Especially when the victims are white." The deaths of Damilola Taylor and Stephen Lawrence, she says, were not typical in that they were black victims who prompted much media attention. But Gary Trowsdale, managing director of the Damilola Taylor Trust, believes that is a view that absurdly focuses on the issue of race. He prefers to emphasise the positive stories of young people from tough backgrounds who like Damilola refused to join a gang. Last year the charity commemorated Damilola's death - an anniversary he describes as an "iconic date in the national conscience" - with the inaugural Spirit of London Awards and this weekend it repeats the occasion at the O2 arena in Greenwich. "The Spirit of London Awards is the way the Trust has celebrated Damilola's legacy. He was a good boy who would never have joined a gang or carried a knife, a bit like the kids we honour". 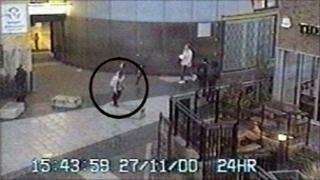 For Chief Supt Ephgrave there is another aspect of the Damilola case that made it distinctive. Not only did Damilola's death shock the law-abiding majority. It had career criminals agreeing to testify against the Preddies after Ephgrave "appealed to their better natures". Even criminals have a moral code of sorts, he says. "For any other murder they wouldn't have given a toss. It was like the old cliché 'I don't mind people getting robbed, shot and killed but that was going too far'."